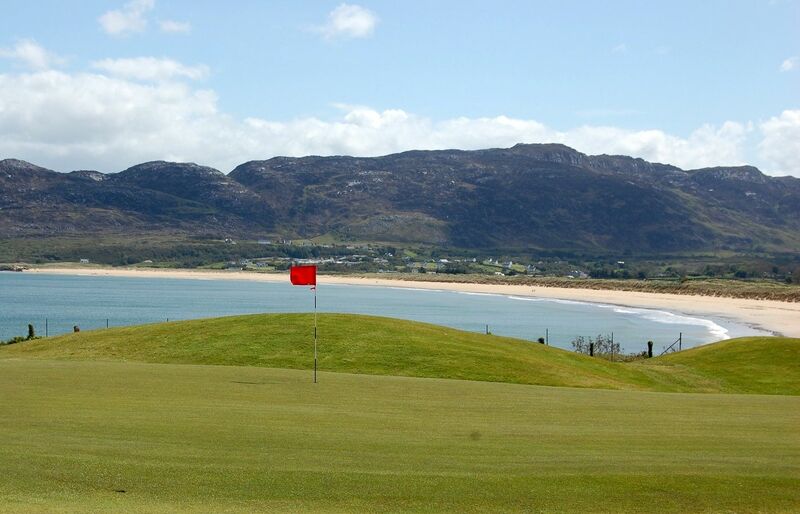 Portsalon Golf Club founded in 1891 is located towards Ireland’s most northerly point and is surrounded by the wild Atlantic Ocean. 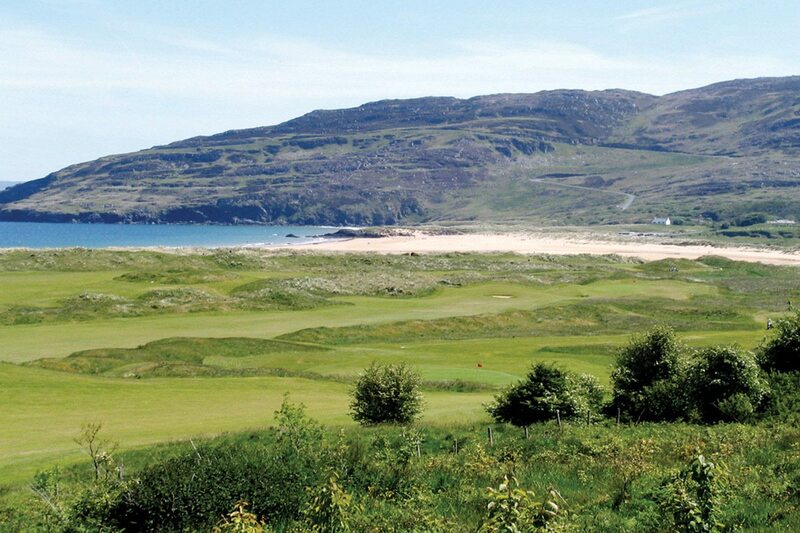 It is just over 20 miles north of Letterkenny and offers golfers an oppurtunity to play golf on an original golf links design, an unspoiled and uncrowded natural links land. 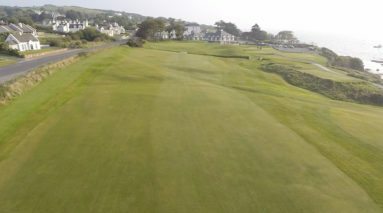 The opening hole is an uphill dogleg around a cliff and is followed by a par three of some 196 yards over water to a green that juts into the bay. 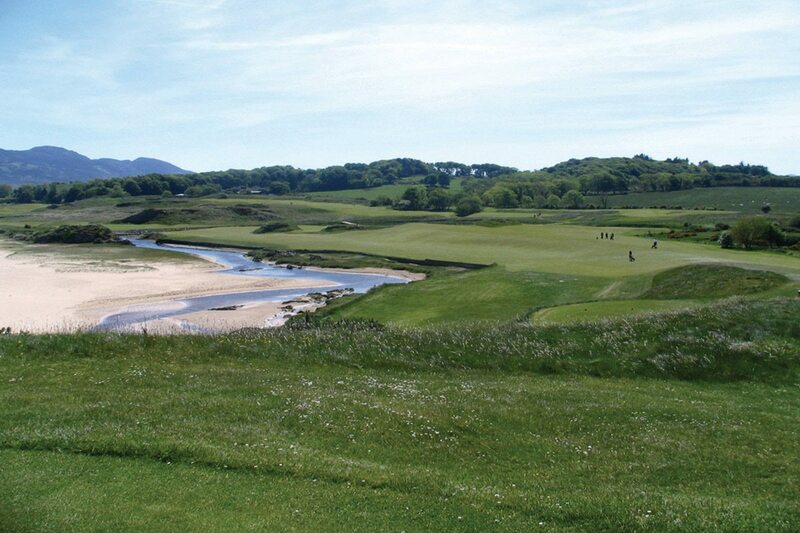 The 3rd hole, unchanged since 1891 is a downhill par four played across and along the beach to a green guarded by two ancient rock formations. 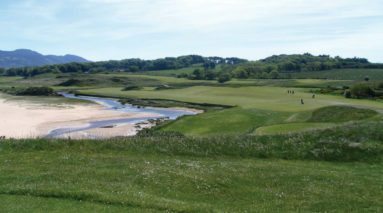 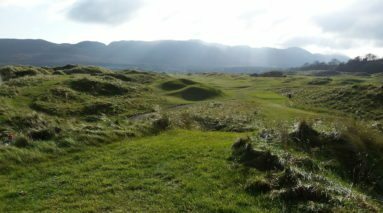 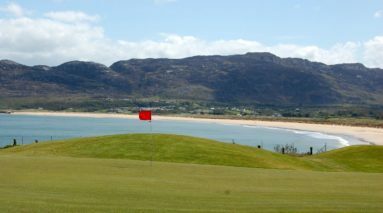 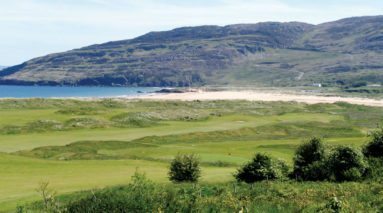 It is an exhilarating start and so it continues at Portsalon, with fairways and greens threading through sand dunes untouched by the course of time.